Marijuana law reform activists in the Pacific Northwest are moving ahead with renewed efforts to win legalization at the ballot box. In the last few days, legalization initiatives have been filed with state authorities in Oregon and Washington. In both states, similar legalization initiatives failed to make the ballot last year. This time around, organizers in both states say they are better prepared for the arduous and expensive process of signature-gathering to make the ballot. In Washington, Sensible Washington, the folks behind last year's failed effort, have filed an initiative that removes all criminal penalties for adults who use, possess, produce, transport, or distribute marijuana. Unlike last year's initiative, which lost critical support for its failure to address regulation of the marijuana market, this year's version explicitly directs the state legislature to enact a regulatory scheme. Sensible Washington is aiming for this year's November election ballot, despite pleas from some national and state reform figures to hold off until the presidential election year in 2012. "We're pleased to again put the important question of marijuana legalization before the public," said Seattle attorney Douglas Hiatt, Sensible Washington’s chair and initiative coauthor. "We’re better funded and better organized this year and we look forward to giving the public an opportunity to vote on this issue in November. We've changed last year’s initiative to reflect concerns about civil regulations of marijuana, and our new initiative has language that clearly directs the state legislature to regulate the responsible adult use of marijuana." The group expects to start signature-gathering this month. They need 241,153 valid voter signatures to make the November ballot. In Oregon, the Oregon Cannabis Tax Act (OCTA 2012) initiative is back. Organizers turned in 2,200 signatures on January 4 to start the ballot title creation process. The initiative has until July 2012 to turn in nearly 86,000 valid voter signatures to make the November 2012 ballot. In an email to supporters, D. Paul Stanford of the Campaign for the Restoration and Regulation of Hemp vowed to gather at least 130,000 signatures to ensure a comfortable cushion. The initiative is also supported by Oregon NORML. OCTA 2012 would allow Oregonians 21 or over to possess and grow marijuana. It would also create an Oregon Cannabis Commission to oversee the regulation of commercial cultivation and distribution. 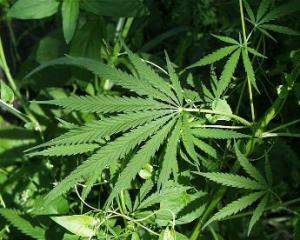 The commission would sell marijuana through its own outlets, similar to state liquor stores. And so the next round begins. Marijuana is the safest drug with actual benefits for the user as opposed to alcohol which is dangerous, causes addiction, birth defects, and affects literally every organ in the body. Groups are organizing all over the country to speak their minds on reforming pot laws. I drew up a very cool poster for the cause which you can check out on my artist’s blog at http://dregstudiosart.blogspot.com/2011/01/vote-teapot-2011.html Drop in and let me know what you think! If they don't win in Washington this year i hope they can try again next year because it seems more likely they'll be able to win by then, especially since Oregon, California, and maybe some other states are also going to go for it at the same time. I think it has a greater chance if you know your state isn't the only one legalizing. Plus, it's a presidential election and that gets out younger voters. We need to legalize, benefits for everyone outweigh the harms, and will only help on joke of an economy, 10 billion dollars spent by the DEA to patrol a victimless crime that can bring in upwards of millions of dollars if taxed like alcohol and tobacco which brings me to another thing. Tobacco 18 to buy, 0 benefits, Large amount of harm done, many deaths Alcohol 21 to buy, Some benefits used in moderation, but is extremely addictive and is always over used many deaths from DUI's liver failure Then theres Marijuana Completely illegal to posses sell transport and cultivate. Has many benefits used in cancer patients, glaucoma, insomnia. Its impossible to overdose on marijuana, and has a very few amount of harms. C'mon people take a stand, we need to do what's right and that's to stop the probation on marijuana. I really hope these people succeed. It would really change a lot of things and then we may see more states legalizing and decrimilazing and eventually cause change on a federal scale. Marijuana NEEDS to be legalized. The US Government should overcome its own “denial” with respect to Medicinal Cannabis, which can serve as a safe alternativ­e to many pharmaceut­ical chemicals on the market. I believe it is very positive that the President acknowledg­­es the “validity” of this debate. Whenever the validity of the debate is recognized­­, such a “recogniti­­on” invariably implies that our side has a “valid argument”; this being so, it follows that our side (in favor of Cannabis/M­edicinal Cannabis Legalizati­on) has a very real possibilit­­y of winning this “perfectly legitimate debate”, for otherwise it would not be a “debate”. For example, to even suggest that Cannabis Plant has no medicinal properties is not even a “logical” thing to do; as a “recreatio­­nal” substance, Cannabis is incomparab­­ly safer than alcohol! And if all this were not enough, it is scientific­­ally proven that Cannabis use (as opposed to alcohol use) suppresses violent urges and behaviors. All this is true even if the President is “personall­­y opposed” to legalizati­­on (at least for now). But we cannot sit on our butts and passively expect positive developmen­­ts to occur. We must participat­­e actively, write comments at the news articles, write to politician­­s, sign petitions, register to vote, etc. I specifical­­ly urge all the young people to talk to their parents and grandparen­­ts and educate them about Cannabis vs. alcohol and hard drugs. As the logical evidence in our favor inexorably accumulate­­s, the “qualitati­­ve shift” will occur in our common consciousn­­ess, and we will win this “perfectly legitimate­­” debate! I hope the initiative passes. However, I think that the lies about cannabis will increase if it does. It won't surprise me if reports come out that adult and teen use, crime, and social unrest rise after legalization. Not because it actually will happen, but that opposition will just make stuff up. Furthermore, the DEA will just come in and arrest growers and distributors just as the do with medical cannabis. For the initiative to pass and stick, the people of Oregon will have to be steadfast and peaceful in the face of major opposition and oppression. Dr. Krivitsky, logic and facts have never been the motivation for lawmakers. The logic they use revolves around maximizing money and power. All the politicians will do is fire back at supporters like yourself that cannabis has limited medical benefits that be supplemented by better medications, and that cannabis is worse than alcohol and tobacco combined. It won't matter if it is a lie, they will tell it anyway. LEGITIMATE MEDICAL USES OF MARIJUANA, PERHAPS THE US FEDERAL GVT SHOULD TAKE A PAGE FROM THE FEDERAL GVT OF CANADA IS SO FAR AS THE MEDICAL AUTHORIZATION FOR MARIJUANA IS CONCERNED. I HAVE READ THAT THERE ARE ONLY 3 LEGAL MEDICAL MARIJUANA USERS IN THE UNITED STATES. IN CANADA I BELIEVE WE ARE IN THE NEIGHBOURHOOD OF 7000 LICENSED MEDICAL MARIJUANA USERS. WE ARE ALLOWED TO CULTIVATE FOR OUR OWN CONSUMPTION, AND THE ALLOWABLE NUMBER OF PLANTS ALLOWED IS BASED ON A MEDICAL DOCTORS PRESCRIPTION. ITS NOT A DIFFICULT PROCESS HERE, GO SEE YOUR FAMILY DOCTOR, EXPLAIN WHY YOU BELIEVE MARIJUANA COULD AFFORD YOU A BETTER QUALITY OF LIFE IN THE MANAGEMENT OF PAIN CONTROL, IF YOUR CASE IS VALID YOU DOCTOR WILL SET UP AN APPOINTMENT WITH A SPECIALIST, WHO IS KNOWLEDGEABLE IN THIS AREA OF PAIN MANAGEMENT AND THE MANY OTHER APPLICATIONS OF MEDICAL MARIJUANA. ONCE THE PRESCRIPTION IS ISSUED, WE FILL IN A FEW STANDARD FORMS SEND THE PACKAGE OFF TO OTTAWA AND IN A FEW WEEKS TIME YOU GET A LICENSE TO CULTIVATE, A JAZZY PHOTO ID CARD TO SHOW THE POLICE IF YOU ARE BUSTED OUTSIDE YOUR OWN HOUSE AND BOB'S YOUR UNCLE. ALL SIMPLE AND STRAIGHT FORWARD. I ALSO UNDERSTAND YOUR DEA BS WILL BE HARD PRESSED TO EFFECT THIS CHANG FOR THE BETTER OF ALL CONCERNED. FOR MORE INFO GOOGLE MEDICAL MARIJUANA GOV.CA THERE IS A WEALTH O INFO HERE FOR ALL TO SHARE. GOOD LUCK TO YOU ALL SOUTH OF THE BORDER. No need to yell, we can all hear you. I will go to Oregon to help get signatures, thenI will live there where it is green! We need to end this failed war on drugs (specifically cannabis/Hemp). I am not saying it will fix our economy, but ending prohibition (alcohol) has helped in the past. Spread the truth, we cannot prevail unless we try! LET'S Go OREGON, WASHINGTON and CALIFORNIA in 2012! Read OCTA. It's the same law that didn't make the ballot in 2010. The measure requires an appointed board to head a Commission that buys raw Cannabis from growers then sells the raw product to processors from curing to what ever else you could do with it. Initially, the board is appointed by the Governor for the first session. The Oregon Cannabis Business community will then vote the 5 commissioners in periodically there after. The Commission is the sole source of pricing according to their observation of market prices and what they think things should be. Firstly, I would vote for it. Secondly, I don't forecast this will do well unless people are just fed up with prohibition and are willing to take measures they generally would not take. The primary reason is because of how the commission sets prices and controls distribution by purchasing raw product and redistributing to processors and vendors. Oregon does not seem to have a political climate where government agencies setting prices and acting as a distribution hubs will sell well. I personally don't care. The only thing that matters is that responsible adults can get high and not be discriminated against or punished simply for that. The OCC just does not seem like it would stand for long. In addition, The OCTA seems to establish Cannabis as a cash cow for government growth specifically called the Cannabis fund. The worst thing that I could resulting from the OCC is a type of legal cartel.